If you already have a blower or compressor then all you really need is this weighted bubbler hose! Lead keeled die-cut diffuser de-icer airline. Requires only 0.01 CFM per foot and 3 PSI for operation. Simply lay the weighted bubbler tubing at the outer extremity of your boathouse, crib or dock and you will leave a lovely open area free of ice preventing the pressure damage from ice against pilings and other structural dock damages. 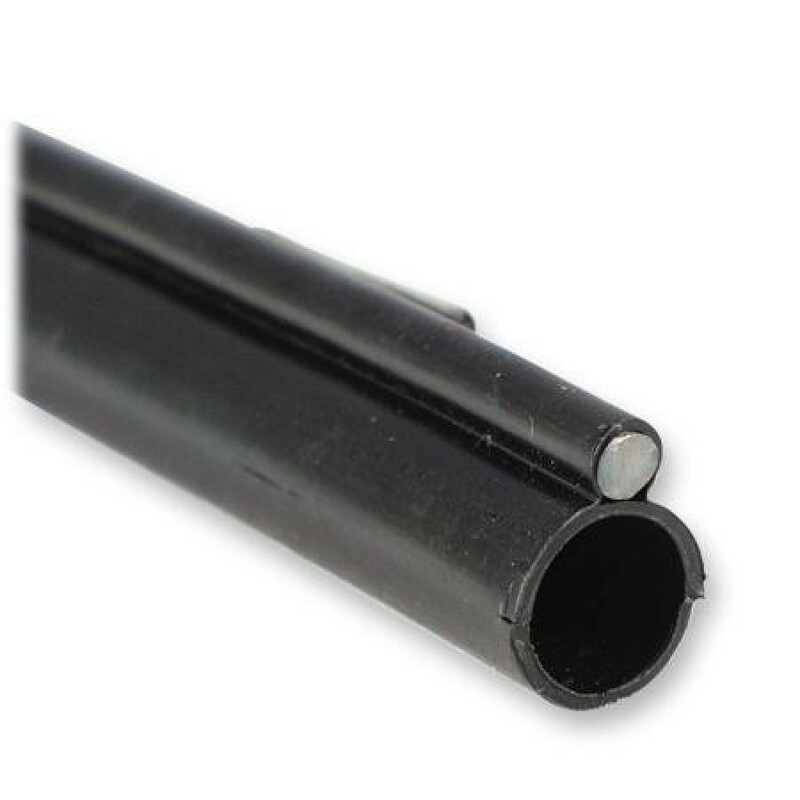 This is a semi-rigid tubing that can be placed on the bottom of the lake pond or river or attached to the structure around the perimiter you wish to protect. Avoide bending the tubing around corners too abrubtly as the tubing can kink. This De-Icer Tubing can be useful in bubbler systems and dock and boathouse bubblers when the traditional de-icers do not work due to the shallow natuer of the dock. While some people we know have had success building a bubbler line out of scehedule 40 PVC pipe with small 1/16" holes drilled every 12 inches or so this can require very large pumps and often the lines fill with water or perform only partly due to slight differences in hole size. 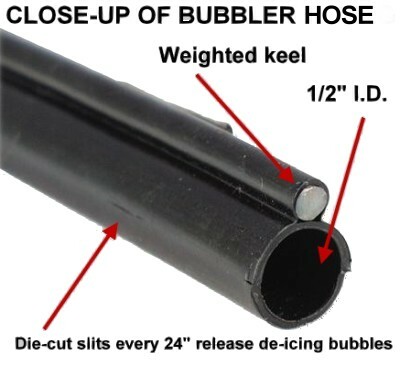 The tubing in this de-dock bubbler package has unique die cut slits located every 24" which allow air bubbles to flow and rise to the surface performing the deicing. The tubing slits close when air pressure is stopped and any water that accumulates in the bubbler tubing will be blown out of the holes upon the re-starting the compressor.